The printing process for your business or personal project is ever changing and evolving. At Paulson Press, we have seen many industry changes in the decades that we have served our Chicagoland clients. Even better, our team has made a commitment to evolving along with the printing process in order to give our clients state of the art options for their printing needs. One such option is Ultraviolet (UV) printing. In this option, the ink is dried through a reaction to ultraviolet light. This reaction makes for a durable finished product that has many benefits. As a client of Paulson Press, it isn’t your responsibility to know the ins and outs of the UV printing process. Instead, our experienced team walks you through options that might be best for the product that you have in mind. A variety of printing options: UV printing allows for clients to print on a variety of surfaces including paper, plastic, and even wood. What was once thought of as unable to be printed on twenty years ago is now an option with UV printing. From book covers to window clings, UV printing gives businesses of all sizes new options for exposure. 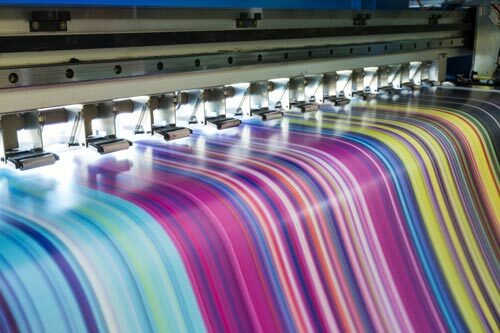 Vibrant color: UV printing has a unique drying process which gives a more vibrant result, even on surfaces that are not coated. Better results: Due to the drying process of UV printing, finished projects often have a cleaner and crisper look, which gives an extra boost of professionalism to your project. Durable products: Perhaps one of the biggest benefits of UV printing is the durability of the project. Your investment will be well worth this result that will not fade as easily as other traditional printing methods. Not sure if UV printing is an option for your company or project? Our team is ready to give you a consultation and estimate that best suits your bottom line and desired effect. Give us a call to start bringing your idea to life.